Yet another example of the intolerance of the left was enacted at the University of Wisconsin when a mob shut down a press conference put on by the Center for Equal Opportunity (“Studies Show Severe Racial Discrimination at University of Wisconsin,” by John Anderson, Youth for Western Civilization). This is a truly amazing example of the power of the left to shut down public debate when the interests of Whites are being compromised. Demonstrators knocked down employees of the hotel and shouted down the speaker to the point that he simply left. The video shows Damon Williams, Vice Provost, Chief Officer for Diversity & [anti-White] Climate at University of Wisconsin-Madison egging on the students by chanting and pumping his fist. Officially sanctioned disruption of free speech. Thank God that sort of thing can’t happen in California. Recently an Orange County jury convicted ten Muslim students of a misdemeanor for disrupting a speech at the University of California-Irvine. These students stood up and read prepared statements, thereby interfering with the speaker—actions far less disruptive and physically threatening than those of the UW-Madison students. But wait. There’s a big difference between the UCI and UW situations. The UCI students were voicing their opinions during a speech by the Israeli ambassador. Jewish organizations are going full bore in an attempt to shut down campus speech critical of Israel. A recent article appearing in the Chronicle of Higher Education described examples where Jewish groups have attempted to shut down criticism of Israel. The intended target of the complaint about Columbia University was … Joseph A. Massad, a controversial Palestinian scholar who has been accused by some Jewish organizations of teaching anti-Semitism. 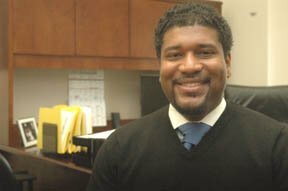 Mr. Marcus said the Office for Civil Rights has told him it did not plan to investigate Mr. Massad because it lacks evidence of bias against Jewish students in his classroom. Mr. Massad did not respond to an e-mail Tuesday seeking comment. By trying to censor anti-Israel remarks, it becomes more, not less, difficult to tackle both anti-Semitism and anti-Israel dogma. The campus debate is changed from one of exposing bigotry to one of protecting free speech, and the last thing pro-Israel advocates need is a reputation for censoring, rather than refuting, their opponents. As noted previously (“The Hate Crimes Prevention Bill: Why Do Jewish Organizations Support It?“), it is only a matter of time before Jewish activist organizations make an all out assault on the First Amendment which is currently protected by a tenuous-in-the-long-term 5-4 majority. Basically, Jewish organizations want carte blanche to shut down free speech that they don’t like but don’t look for similar pressure on speech disliked by the multicultural left. As a result, prosecutions of those who disrupt speech will be very selective. No charges in Madison, while the UC-I students are dragged into an expensive court case and ultimately convicted. They were also disciplined by the university. One would love to see the sorts of pressure exerted on the Orange County District Attorney.